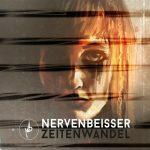 NERVENBEISSER: Zeitenwandel (Echozone) — Given that Nervenbeisser are a German hard rock/industrial band with a baritone singer it’s inevitable that they’ll be compared to Rammstein. That comparison isn’t unfair, there’s a lot the two groups have in common and if you’ve been longing for a more electronic sound in your Neue Deutsche Härte I’d look to Nervenbeisser before Rammstein. Their late 2017 release, Zeitenwandel, has a lot of hard rock and heavy guitar but also features songs with clear echoes of Skinny Puppy and Front 242. “Ein Letztes Mal” stands out as a chill synthesizer-driven track that uses guitar more as part of the rhythm section than anything else. Overall the record has a good energy – it doesn’t get too bogged down in electronic esoterica but doesn’t let itself get carried away with the mania it occasionally displays. “Glücklich Allein” is a hyper, screechy, abrasive song that provides some needed levity but doesn’t infect the surrounding broodiness beyond acting as a counterpoint. There’s some nice tension and nod to 90s techno in “Todesengle” that dissolves into a cascade of powerful vocals and wailing synths. 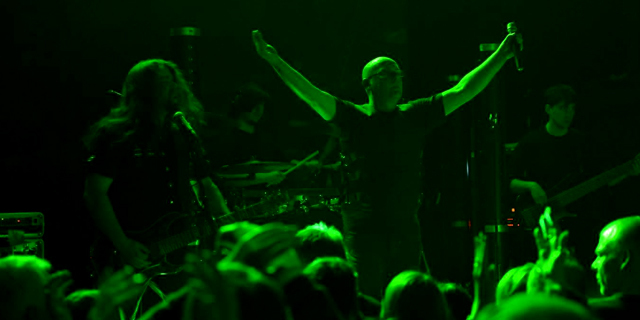 The album opens with atmospheric spoken word and closes with melodic metal. There’s a lot going on with this record but somehow it all hangs together nicely with a fist-pumping intensity grounding the disparate sounds into a nonetheless enjoyable onslaught. If you’ve been hankering for some growly Germans who make music that complements PVC outfits and stompy dancing Nervenbeisser might be for you and Zeitenwandel is a good point of entry to get a sampling of what the band’s about. It’s more competent and less wanky than a lot of goth rock while being less cynical and more fun than a lot of industrial. Links: Dragon Ball Super mass piracy, origin of the gated reverb snare, the return of illegal raves.